Gastrointestinal (GI) infections are one of the most common infections in primary care. According to NCBI (National Center for Biotechnology Information), around 200 Mn GI infections occur in the U.S. annually. To detect bacteria, virus and parasites, gastrointestinal infection testing is done. The molecular tool is used for fast discovery of bacteria in clinical specimens and allows early and clear laboratory validation of related diseases. Since the past few years, real-time PCR tests have been widely developed in clinical microbiology labs for routine gastrointestinal infection testing of infectious diseases, such as bacterial, viral and parasitic diseases. This factor will boost the growth of the gastrointestinal infection testing market during the forecast period. According to the latest report published by the company, the global gastrointestinal infection testing market is projected to account for over US$ 490.2 Mn, in terms of value, by 2026 end. 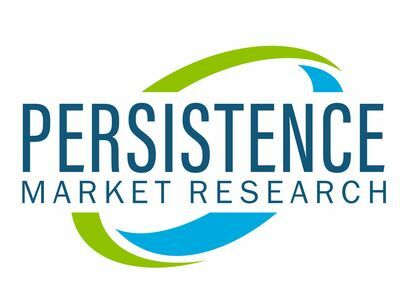 The report further projects that the gastrointestinal infection testing market will grow at a CAGR of 5.1% through 2026. Diarrhea is one of the leading causes of deaths. According to WHO, diarrhea kills around 525 Mn children aged 5 years or less every year. Gastrointestinal infection testing is done using PCR systems that provide a quick valuation of gene mutations or the presence of antibiotic resistance genes. This factor will increase the growth of the gastrointestinal infection testing market during the forecast period. That apart, increasing healthcare expenditure by governments has enabled the usage of sophisticated infection detection panels and infectious testing kits in hospitals, diagnostic laboratories and institutes. This factor, in particular, is likely to play an instrumental role in driving the growth of the gastrointestinal infection testing market during the forecast period. Stringent rules and regulations set by the U.S. Food and Drug Administration (FDA) may hinder the growth of the gastrointestinal infection testing market. The North America gastrointestinal infection testing market is expected to give a boost to the growth of the gastrointestinal infection testing market due to increasing healthcare spending and government initiatives to spread awareness and availability of better gastrointestinal infection testing options in the region. The Asia Pacific ex. China gastrointestinal infection testing market is expected to grow at highest CAGR owing to increasing patient pool due to unhygienic lifestyle and improper sanitation facilities in this region. The Asia Pacific ex. China gastrointestinal infection testing market is estimated to create incremental $ opportunity worth US$ 41.9 Mn between 2018 and 2026. The global gastrointestinal infection testing market has been segmented by disease strains, product type and end user. The gastrointestinal infection testing market has been segmented by disease strains into bacterial strains, viral strains and parasitic strains. Based on product type, the gastrointestinal infection testing market is segmented into reagent kits, sequencing kits and equipment. In terms of revenue, the reagent kits segment is expected to hold major share during the forecast period due to its user-friendly nature and accurate detection of foreign agents. On the basis of end users, the gastrointestinal infection testing market is segmented into hospitals, clinics/medical centers, diagnostic laboratories and research institutes. The hospital segment is expected to show high revenue growth as an increasing number of people are getting hospitalized due to increasing gastrointestinal infections. The report tracks some of the key companies operating in the gastrointestinal infection testing market, such as Becton, Dickinson and Company (BD), Thermo Fisher Scientific Inc., Bio-Rad Laboratories Inc., Luminex Corporation, Hoffmann-La Roche Ltd., bioMérieux SA, Quidel Corporation, Illumina, Inc., Seegene Inc and Genetic Signatures. The information presented in this review is based on a PMR report, titled "Gastrointestinal Infection Testing Market Segmentation By Disease Strains - bacterial strains, viral strains and parasitic strains; Product Type - reagent kits, sequencing kits and equipment - Global Industry Analysis, Size, Share, Growth, Trends, and Forecast 2018 - 2026."